Sts. 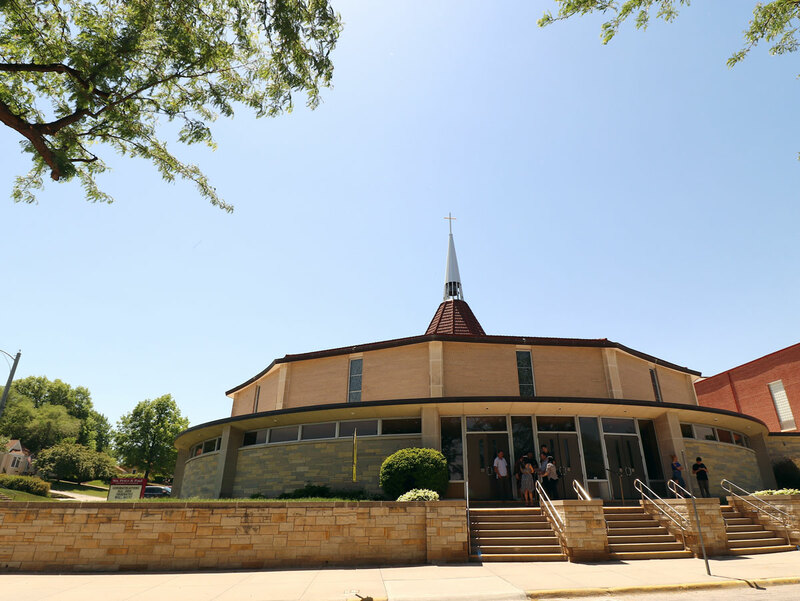 Peter and Paul Parish actually began to exist in 1907, when a small number of people of Croatian descendants met with Father John Zaplotnik in the home of Nicholas Mickells to celebrate Mass in their native language. Permission to build a church on the corner of 36th and “X” Streets was given to Fr. John Zaplotnik on March 15, 1917. St. Peter and Paul was incorporated by the State of Nebraska on April 17, 1917. The first Mass was celebrated on Easter Sunday, March 31, 1918. Breaking ground for the new school began on April 13, 1926. The first enrollment in the school took place September 7, 1926, with 205 children registering. In 1957 and again in 1961 additions were made to the parish school, along with the addition of our parish auditorium. Our present convent was completed August 15, 1948, and the present rectory was completed August 1, 1954. The original church was razed in May of 1966 in preparation for the new church, which was dedicated October 27, 1967.